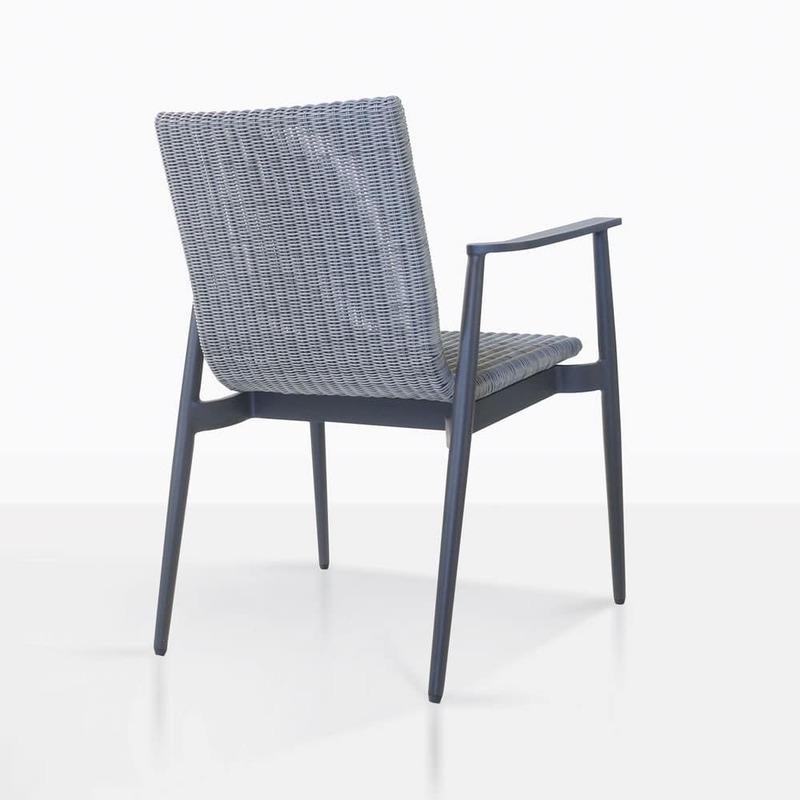 Create a sense of contemporary calm in your backyard with the divine style of the Baltic Outdoor Dining Chair, the crème de la crème of modern outdoor furniture. A superb, industrial style is paired with strong, robust materials in a piece that is comfortable, versatile and of incredible quality! The Baltic Outdoor Dining Chair is a terrific example of high fashion design, which mirrors modern architecture, it has a sleek powder coated aluminium frame that is illuminated by a brilliantly structured wicker seat, with wicker woven so fine, it is a piece of artwork itself! Envisage yourself sipping cocktails in the sun, comfortably resting in your Baltic Dining Chair, lazily picking at cheese and crackers on your reclaimed teak dining table as your friends move around you, sinking into their own Baltic Chair and their own slice of luxury that you have created. The Baltic Outdoor Dining Chairs look magnificent around a concrete dining table, under a large cantilever umbrella – a state of the art setting perfect for impressing great numbers of friends, family and colleagues! 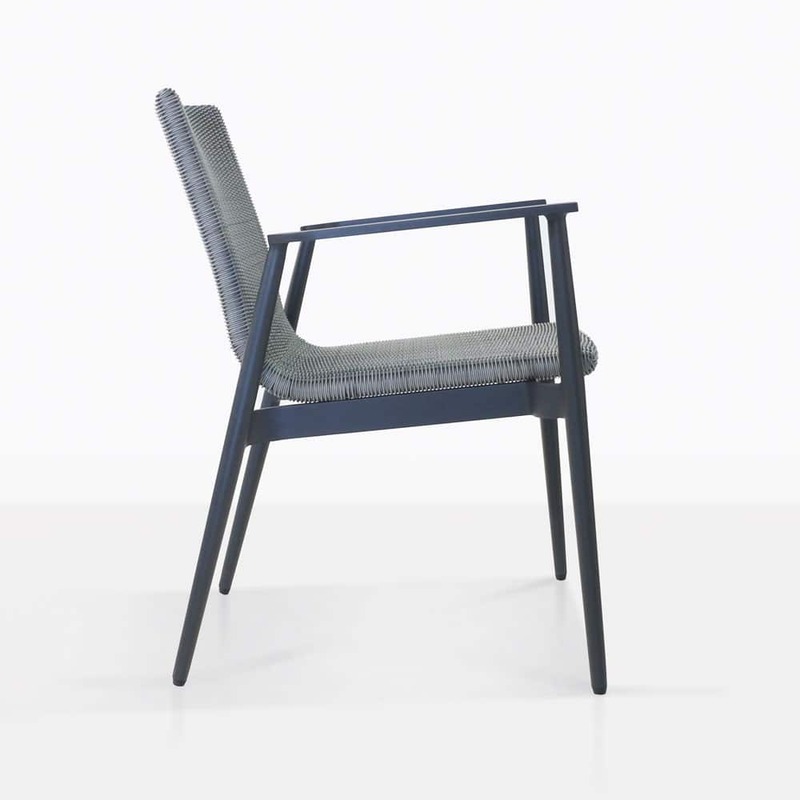 The Baltic Dining Chair is made from high end, quality materials that are designed to withstand outdoor conditions with minimal maintenance! Making this stunning chair all the more appealing! 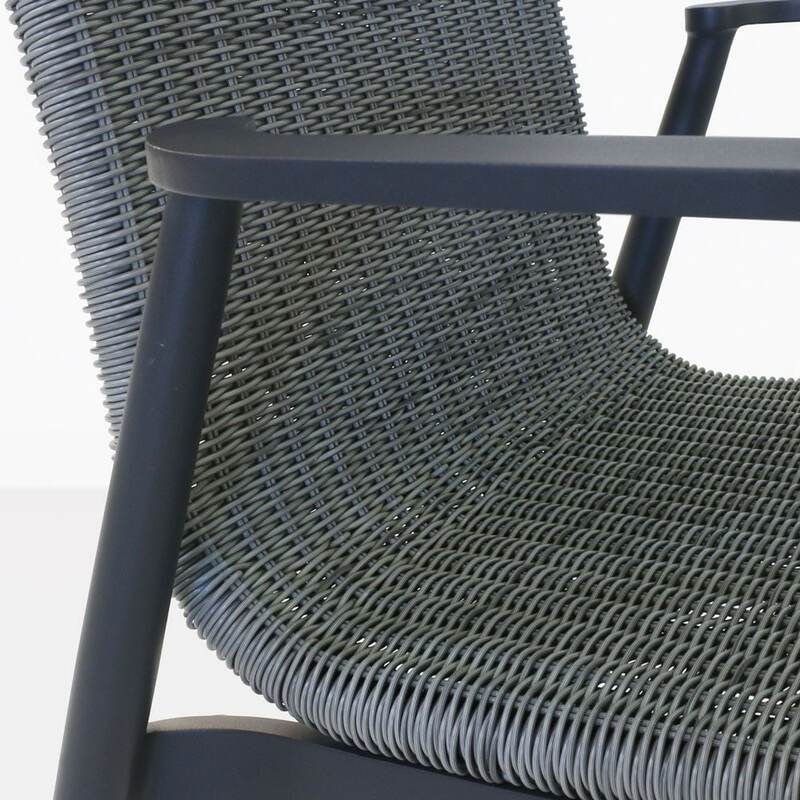 Powder coating on strong aluminium assists in a longer lifespan and makes the metal look extraordinary, while the seemingly delicate looking through dyed wicker is anything but! 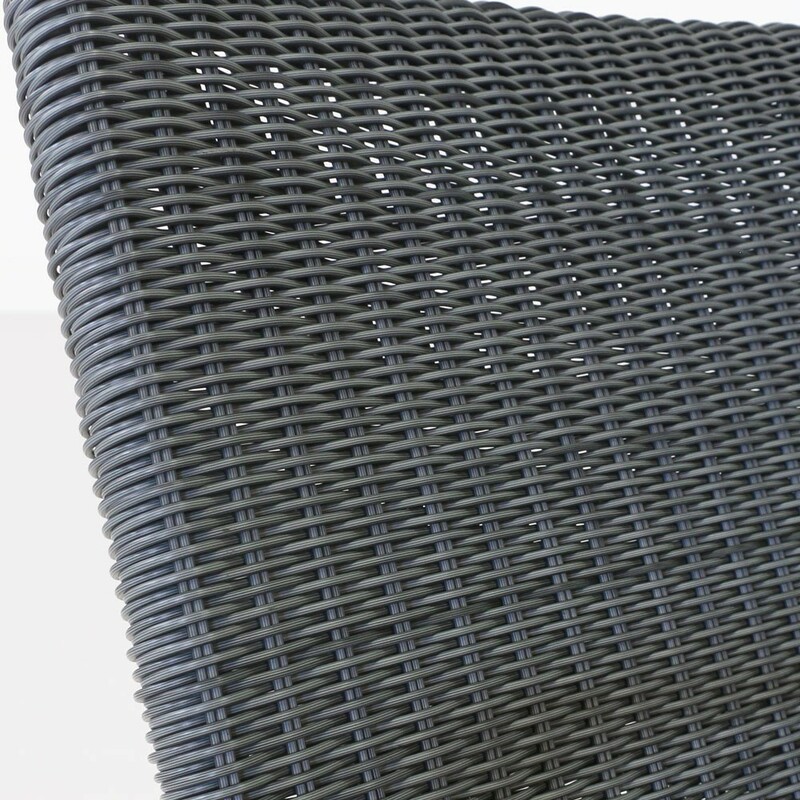 Robust, durable and solid, our outdoor wicker is perfect for comfort and style! Design Warehouse is proud of our great array of outdoor furniture, from this incredible dining chair to other dining furniture, deep seating and much, much more! 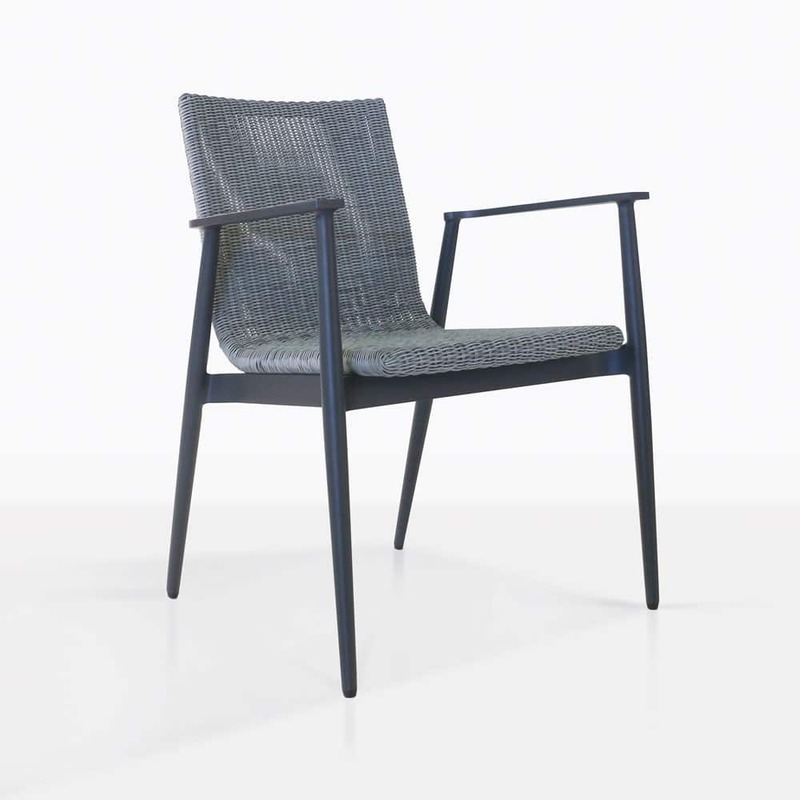 Call our amazing sales staff today to see how to collaborate the Baltic Dining Chair into your open-air living room! What are you waiting for? Luxury is just around the corner!